Love is a gift from God who is the one and only for His creatures, humans. Every person must have or will feel the love of his life. love is very easy and often we feel, but it is very difficult to express through words. However, writers with extraordinary talent succeed in making us understand and be impressed with various love stories through their works. they can make novels, poems, or fiction that really touches our hearts. It’s no secret that women have more interest in works related to love. Because women have soft hearts so romance-themed novels or fiction are their favorites. are you one of them? If you are a fan of romance books, you should read a number of works by famous Russian writers that will really touch your heart. and the love story in these works is certainly very unique and becomes something of your new experience. Russia is a country that has a myriad of phenomenal literary works, especially about romance. In fact, these works have been adopted as a film or television series by several film creators from various countries. And the films were welcomed by the community and won various awards. Are you curious? For those of you romance book lovers, in this official article we will give you some of the best Russian romance books for you. when reading this book, you will soon realize the other side of love and new stories that you may have never read before. Here are 4 Russian romantic books that are perfect for women to read. Ladies, the first Russian romance books that you have to read are Doctor Zhivago. this novel is a masterpiece of one of Russia’s leading writers, Boris Pasternak, published in 1957 in Italy in Russian. this novel has 592 pages and the author has won the Nobel Prize For Literature. Doctor Zhivago is one of the legendary Russian romance novels that is very famous in the world and has become a reference for writers to date. This novel tells the story of Doctor Yuri Zhivago who fell in love with a nurse named Lara Antipova while serving in the war. Lara’s husband, Pasha lost in the war and is considered dead. However, Zhivago did not want to betray his wife, Tonya. He chose to return home and parted ways with Lara. When extreme winter occurred in Moscow, he and his family chose to move to the Ural Mountains and live in an old house left by the Tonya family. However, one day Zhivago was kidnapped and forced to work as a doctor for them when they fought against “White People”. Zhivago had to part with his family for years. Finally, he managed to escape and returned home to Yuriatin. However, his family did not live there, and he thought his family had returned to Moscow. However, he was surprised, seeing who was still at Yuriatin. Of course the past that had persuaded him to betray Tonya, Lara. Then what is the end of this story? If you are very curious, you should immediately read this novel. The ending of this story will make your heart be touched, ladies! And the love story of Doctor Zhivago you may have never read before. Doctor Zhivago has been adopted as a film of the same name and the Brazilian Television Series. And the most famous adaptation is a film by David Lean featuring Egyptian actors Omar Sharif as Zhivago and British actress Julie Christie as Lara. The film, released in 1965, won 5 Oscars. Russian romance books, the next thing you have to read is The Master And Margarita. The Master And Margarita is an important novel in the 20th century. This novel is a phenomenal work of Russian writer Mikhail Bulgakov. This fantastic genre novel, satire, and romance was published in 1966-1967 after Mikhail died. This novel has a long storyline. And the essence of this novel is the love story of Margarita to the teacher, a writer who is afraid of his own ideas. Thanks to Margarita, Master’s novels are not lost and they can be safe together forever. Then, what did the Margarita do for the Teacher? Are you curious about Margarita’s struggle? You must read this novel immediately. This novel is a very unique and romantic novel. This novel has been adapted into various other works. Like in 1970, director Seppo Wallin made it a film titled Pilate. Then, in 1971, director Andrzej Wajda made a film titled Pilate And Others, and there are still many other works. Of course, they adopted The Master And Margarita because the story was unique and popular with many people. And you, you can’t miss ladies! Literary lovers must be familiar with the title of this novel. The scholars consider that romance books are the best books ever written. Anna Karenina is a masterpiece of the famous Russian writer Leo Tolstoy published in 1877. This novel tells the story of Anna Karenina, a wife of St. Petersburg government officials. A married Petersburg who had an affair with Alexei Kirillovich Vronsky, a brave military man. Vronsky initially proposes to Kitty, Anna’s sister-in-law’s sister. However, after meeting Anna, Vronsky was no longer interested in Kitty. And Anna also has the same feeling with Vronsky. Anna has betrayed her husband, Karenin and Kitty. Then, do they live happily according to Anna’s expectations? You have to make sure. You can get this book from the internet or bookstore. Even though it’s an old book, this book has become a reference for writers to date. This novel has also been adopted as a film with the same title and very successful. 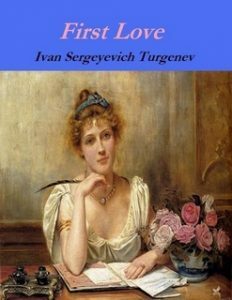 The last but not least interesting Russian romance book is First Love by Ivan Turgenev. This novel is different from the novels of its time. If in the 1860s the romance novel also touched on social and political conditions, First Love did not. This novel presents a pure love story. This short fiction is very unique because it feels very modern even though it is hundreds of years old. First Love tells a love story between a 21-year-old young woman, Zinaida Alexandrovna Zasyekina and a 16-year-old man, Vladimir Petrovich. Vladimir loves Zinaida very much and she is his first love. Zinaida also loved him, but only as a brother, she did not consider Vladimir to be her lover. Then, will they eventually love each other? The answer can be found when you read this novel. This novel is also widely adopted in several other works. Like the German film released in 1970, the film Lover’s Prayer combined with stories from Chekov’s work, The Peasen Woman which was released in 1999, and the Tamil movie, Sindhu Samaveli. Ladies, the Russian romance books that we recommend to you above are the best romance books of all time. So you can’t miss it if you are a true romance books lover. Lots of new things that you can find and mandate that you get when reading the books above. Use your time with useful things, one of which is by reading extraordinary works above. Those are 4 Russian romantic books that are perfect for women to read. When you read the books above, you will feel various feelings. You will be touched, sad, and feel happy. And you will realize the beauty of Russian literature. You can’t miss it, Ladies!